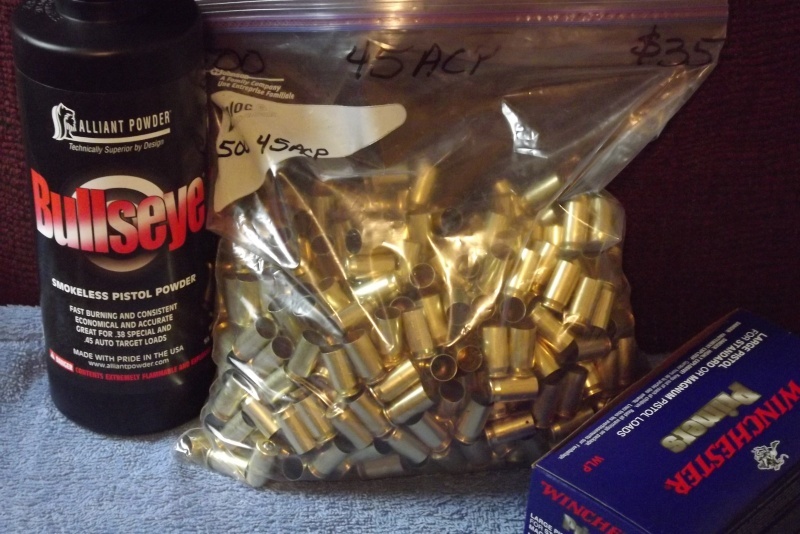 .45 ACP brass, what brand do you like and why? We can spin this around and ask what brand do you dislike, and why? Re: .45 ACP brass, what brand do you like and why? TZZ Match for 25yd practice, because I made a lot of empties to reload in the 1990's. After this weekend I think Rem brass will be my plinking/practice brass. At $35.00 for 500 cases I won't feel bad if I don't find every single fired case. $33.00 was a good price for the primers. $37.00 was high for the powder but I can't walk by a can without coveting it. "acquired" a 74 Honda hatchback trunk load of once fired WCC and 76 Match brass. backed up to a 55 gallon barrel and unloaded it..